Directions: Squirt lemon juice on the pear slices so they don’t turn brown. 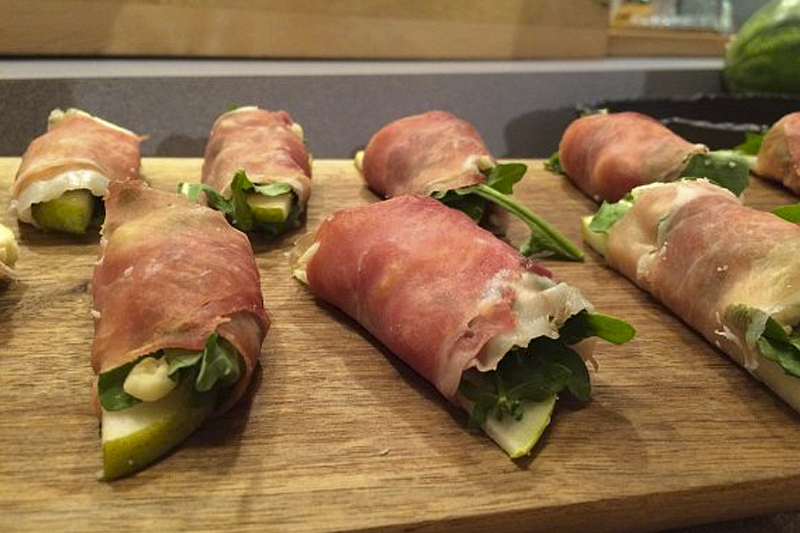 Layer each ingredient and wrap inside prosciutto. Serve as is or secure with toothpick.